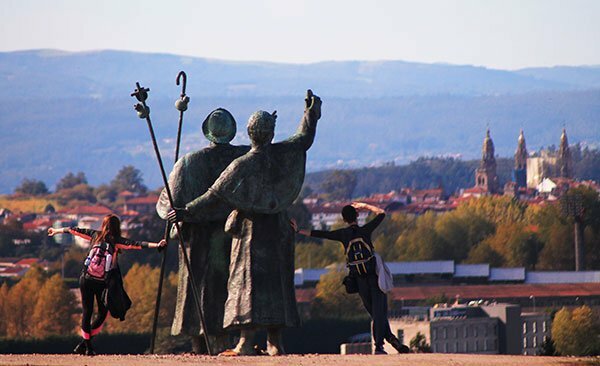 Many of you are walking the Camino de Santiago soon and have asked the CaminoWays.com team to recommend good restaurants in Santiago de Compostela. Fish and shellfish lovers will be in for a treat while in Galicia, considered to be the seafood capital of Spain. 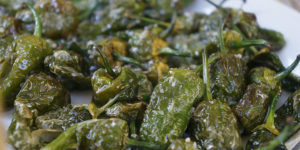 If it swims, Galicians are probably eating it! However, if seafood is not your thing, meats such as beef and veal, and pork are also of superb quality. Our suggestion? be adventurous and try as many new things as possible. One of the most recent arrivals to the contemporary culinary scene in Santiago de Compostela, Pazo de Altamira has a privileged location: right by Santiago’s food market. Who needs a larder when you have the biggest selling space of quality produce in the city right outside your door? Their menu (and decor) is inspired by Galician tradition, artistically designed and beautifully presented by its young chefs. 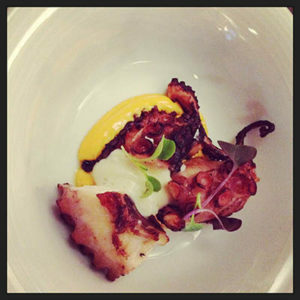 The Pazo’s dishes are a delight for both your taste buds and your eyes. Food snappers and Instagram fans will be in heaven. Also in the Abastos Market area, it is worth checking Abastos 2.0, also serving a contemporary take on traditional dishes. Also very close to Santiago’s food market, located in a 1920 building, A Tafona Casa de Xantar is another exquisite restaurant drawing inspiration from traditional Galician gastronomy. The talented chefs at A Tafona give classic Galician fare a modern twist: the best fresh daily produce from the local market is prepared in a delicate and often colourful style. Have you ever heard of a beetroot cappuccino? 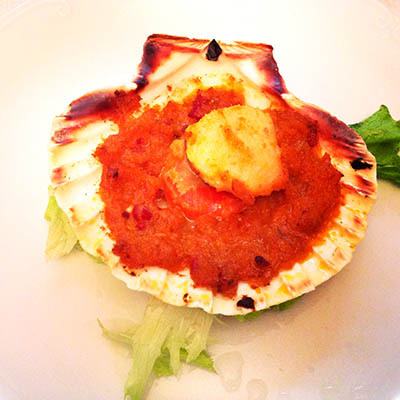 Don Quijote restaurant, in Rúa Galeras and very close to the cathedral, has been serving quality food since 1979. While the building is not as special as the ones mentioned before, all the main Galician seasonal and local delicacies can be found in Don Quijote’s menu and cooked to perfection: a wide range of fish and shellfish, superbly tender veal or game when hunting season is open. For purists: this is a great place to try Galician cooking with no fuss, just the way Galician would be eating it at home for special occasions! La Flor is a gastro cafe located in Casas Reais, right on the path of the French Way as it enters Santiago’s Old Town. La Flor is a hip but relaxed place with a vintage decor and home made food that mixes Galician and international influences. Next to La Flor and run by the same owner, you will find A Cocotte for fantastic artisan pizzas with interesting Galician toppings and combinations. If you are more inclined to go for a couple of drinks and a few ‘pinchos’, Rúa da Raiña and Rúa do Franco are some of the most popular streets in town for this type of affair. Most bars in the old town will serve a free little ‘pincho’ (a small portion of food) when you order your drink, so you can follow the trail and taste their different suggestions. Tortilla fans should check out La Tita in Rúa Nova for copious amounts of warm potato omelette. In Rúa da Raiña, María Castaña is a popular place to eat in this area, plating classic Galician dishes. Another classic eatery in Santiago de Compostela not to be missed is O Dezaséis (number 16 in Rúa de San Pedro). Of course, this is only a small sample of the many great restaurants, bars and cafes where you can enjoy fantastic food in Santiago de Compostela. These have all been tried and tested by members of the CaminoWays.com team. 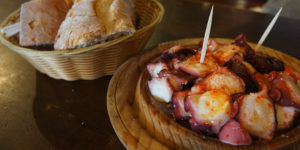 For more ideas on where to eat in Santiago de Compostela, Turismo de Santiago has a good gastronomic guide and more recommendations: http://www.santiagoturismo.com/gastronomia.